The MSIA/PTS weekend in Jacksonville, Florida was amazing! It kicked off with an Open MSIA Seminar on the theme of Peace is Present. The beauty of that practical spirituality! The Traveler, John Morton, shared a timeless diagram that we were given as a handout to remind us how we can move from againstness to peace. We get to choose. The PTS Spiritual Warrior Workshop was the main event, and I’d love to share looking through the lens of the armor of the Spiritual Warrior. The workshop included lunch at the hotel, and the food was delicious, incredibly nutritious and gluten-free. One morning we did group s.e.’s (spiritual exercises). Spirit was so present! We had a beautiful lake view from our classroom space. The MSIA Seminar was kicked off with the joy of Aura Maria Chavez singing and playing her guitar. Her music transcends all language. There was much laughter and happiness shared with the impeccable translation by Ina Cristina Carbajal, complete with perfect body language. The Traveler’s Q&As (questions and answers) were rich for all. Even those questions where he was sharing, oh yeah, and then got back to the question. An abundance of products were gifted to workshop participants through donations from other participants. The Giving and Receiving basket flowed throughout the weekend. It was truly a joy to watch people receive. We even played a loaves and fishes game. (I won’t spoil it, but I will say there was no actual bread or fish). Did I mention in this game dancing was encouraged? And, at the end, everyone got a gift! This was definitely the highlight of this workshop. A shout out to Judy Jackson, MSIA Representative for North Florida, for all her loving effort and gentle nudges to make this event happen. I heard Skip Jackson even picked people up at the airport. Wow ! The loving was demonstrated impeccably, abundantly, and ruthlessly by every MSIA/PTS Staff Member and Assistant. Angel Harper and Sherie Wylie were so loving as co-facilitators and absolutely loved us through our super spiritual warrior process. A wonderful Assisting Team, led by Spencer Whiting, provided impeccable, loving service to everyone. Hugs amongst participants in the room and in the lobby were bountiful. Ahhhhhhh, we all felt the loving, in the classic flashbacks of our favorite Spiritual Warriors. Tears of gratitude flowed. The caring that the Travelers shared, live and on video, was profoundly inspiring. 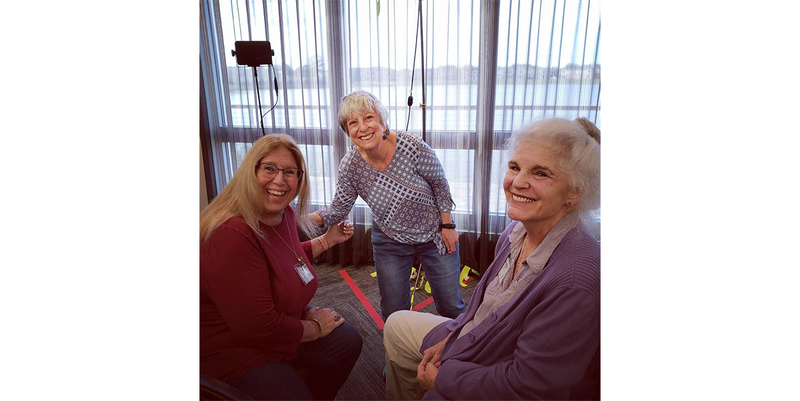 This workshop and the sharing we all did, allowed each of us to connect inwardly with what it means to live as a Spiritual Warrior. My heart is full of love, Light and gratitude to all who showed up. Check out the Photos from Jacksonville!